as usual, this morning i was awoken by my 3 year old jumping on me. she was in a happy mood and so was i :) after being satisfied that her mommy is definitely wide awake, she proceeded to watch tv. i was in a whimsical mood so i went in search of some galvanized tins i stored away in a box... perhaps i should do some painting. rummaged through and found a familiar bundle which i had forgotten about. i smiled as i pulled out my first ever project in decorative art :) this was the first tangible thing i painted (otherwise it was just practicing on art block!) and it must be about 5 years old. 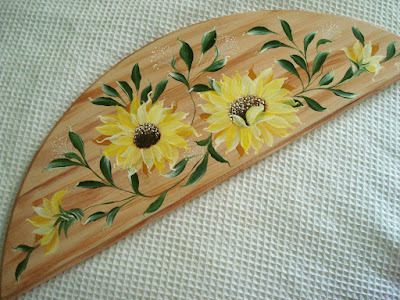 that's when i started taking some decorative art classes at a local art shop. but stopped just at the beginning of my pregnancy because i could no longer take the smell of mediums and paints. also found quite a number of other later projects i did. i've stored most of them away to protect them from prying toddler's hands :) brought out the camera and took some pictures... again. i use to take pictures every time i complete a piece. which was a good thing because i don't own many of them anymore. friends have bought them or they've been given away as gifts. but there are a few (well... quite a few :) ) which i can't bring myself to give away or sell. one being the first piece i made. You are SO very gifted! 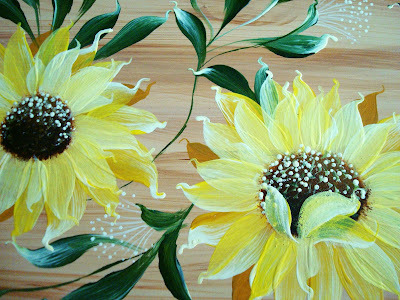 Your painting is so lovely -- I wish I knew how to do that! 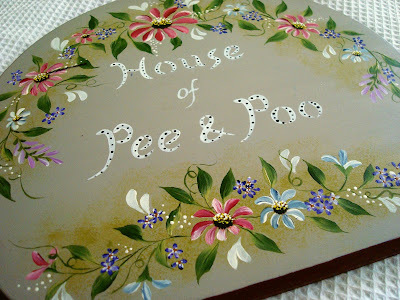 I got a such a chuckle from the "House of Pee & Poo" sign! Living in a house with 7 cats, I completely relate to that type of environment! LOL! thank you Jen :) that sign was initially for the toilet but somehow i never managed to put it up! 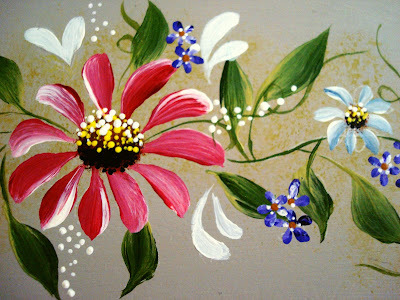 one stroke painting is not difficult to learn. it just takes practice :) when i sort out my camera woes... perhaps i should do a vlog on simple techniques so that everyone can do some painting :) and pimpin'! Thank you for visiting me at Sunbonnet Cottage. You are an amazing artist. I admire people who can turn anything into art. Please visit again soon. I will do the same. thank you for coming over Melissa! and thanks for the lovely comment :) i definitely will drop by often! 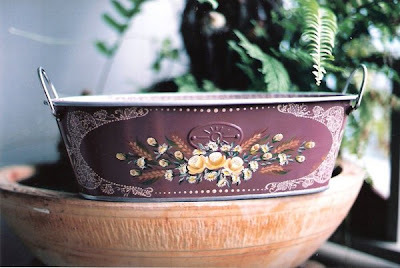 How beautiful decorative art designs!! Best for home decoration!! baby llara kaye's first complete "art"